In Phoenix, Tucson, and throughout Arizona, an insurance dispute can often require lawyers to resolve. 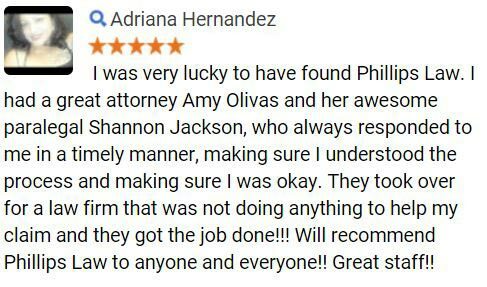 The Phoenix accident lawyers with Phillips Law Group have years of experience protecting those involved in an insurance dispute. We entrust our livelihood, our future, and our family's security to our insurance companies. We are entitled to expect the insurance company to act with the utmost good faith in dealing with our insurance needs. When an insurance dispute occurs, the person involved is often surprised and angered by this perceived act of betrayal. 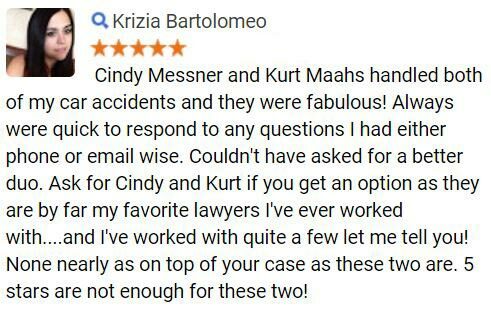 This is where our Arizona insurance dispute lawyers can be of great help. In an AZ insurance dispute situation, our Phoenix car accident lawyers can bring a bad faith claim against your own insurance company if it can be shown that they purposely refused to process an insurance claim you made in good faith. Arizona law requires insurance companies to treat their consumers fairly and this includes payment of claims that are honestly due to the insured. Bad faith insurance law arose because insurance companies have, in the past, mistreated their clients and refused to pay for legitimate claims. An insurance dispute situation that is not pursued through a lawyer or other legal channels often hurts the consumer by forcing them to pay unnecessary legal fees or give up on their legitimate case. Not every insurance dispute is a basis for a bad faith claim. But when it happens, the Tucson and Phoenix area insurance dispute lawyers with Phillips Law Group are there to represent those consumers who have been wrongfully denied or mistreated by their insurance carriers. If you are or have been the victim of an insurance dispute, please contact our Phoenix and Tucson, Arizona lawyers to discuss your situation free of charge. If you are one of the thousands of people in Arizona who have been involved in an Arizona car accident in any given year, one of the first people youll hear from in the aftermath of the collision is an auto accident insurance adjuster. The job of the car accident insurance adjuster is to come to a numerical figure for a settlement for any claims you file in response to the accident. While it may seem tempting to simply work with the adjuster on the promise that you will receive your settlement funds quickly, you need to resist this temptation. Accident insurance adjusters work for insurance companies, and one of their foundational duties is to limit the amount of liability that their employers pay to policy holders or others who have been harmed by their policy holders. Therefore, you need to politely refuse to discuss the specifics of your auto accident with an accident insurance adjuster until you have an opportunity to speak to an AZ accident lawyer. If you decide to retain an Arizona car accident attorney, you will be able to simply refer the insurance adjuster to your attorney from that point forward so that all of the negotiation is handled for you. If youre not sure where to start with this situation, contact the Arizona auto accident lawyers at Phillips Law Group today to schedule a free initial consultation. Truck accidents are a part of life in Arizona, and when they occur, they often leave behind a scene thats nothing short of a disaster. These large vehicles can weigh up to 80,000 pounds, and when they collide with smaller vehicles at a high rate of speed it will almost always create the need for insurance claims to be settled. If this has happened to you, then you understand how one of the first steps taken involves filing a claim with the relevant insurance company. Soon after a claim is filed, youll be hearing from a truck accident insurance adjuster who will tell you that his or her job is to help come to a settlement figure thats fair for everyone involved. When dealing with insurance company settlements, it is a good idea to have a Phoenix trucking accident attorney present to represent your best interests. Before you offer the accident insurance adjuster a statement, however, you need to remember that insurance adjusters work for insurance companies, and their main mission is generally to limit the amount of financial exposure faced by their employers. You should also keep in mind that you are not required to provide a statement to the insurance adjuster. 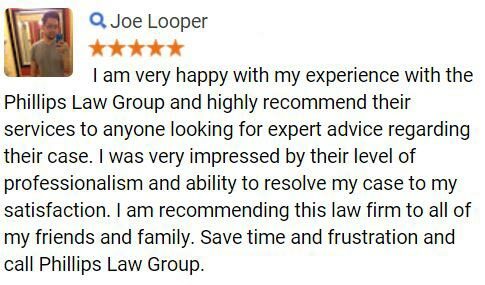 Instead, you should speak to and hire an Arizona truck accident lawyer in order to make sure that your rights are properly protected and enforced. Contact the Phoenix truck accident lawyers at the law firm of Phillips Law Group today to schedule a free initial consultation, as doing so will provide you with a better opportunity to secure a fair and equitable settlement. Motorcycle accidents occur in Arizona with alarming regularity, and the majority of these occurrences lead to property damage and injuries. If you have been involved in an AZ motorcycle accident, you will likely soon hear from a representative of an insurance company whose title is that of adjuster. When a motorcycle accident insurance adjuster becomes involved in an AZ motorcycle accident case, it is a good idea to have an experienced Phoenix motorcycle accident lawyer present to protect your rights. A motorcycle accident insurance adjuster is someone whose job is to come to a settlement figure for claims that are filed with the insurance company that employs the adjuster. While this person may tell you that all you need to do is answer a few questions in regards to the incident in order to bring about a payment for your damages, you need to keep in mind that this persons job is also to limit the financial liability faced by his employer as much as possible. In short, the answers you provide to a motorcycle accident insurance adjuster may not necessarily strengthen your position, and could actually harm your overall efforts to obtain a fair and equitable settlement for the damages youve suffered. You should also understand that you are not required by law to speak to an insurance adjuster, and you would be well-advised to instead speak to an Arizona motorcycle accident attorney before you talk to anyone else. Taking this step could preserve your legal rights and help to maximize your settlement. 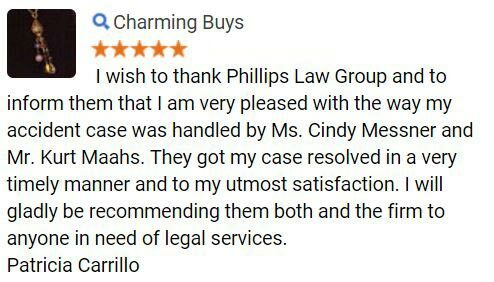 If youre not sure where to turn for advice, contact a personal injury lawyer at the law firm of Phillips Law Group today to schedule a free initial consultation.